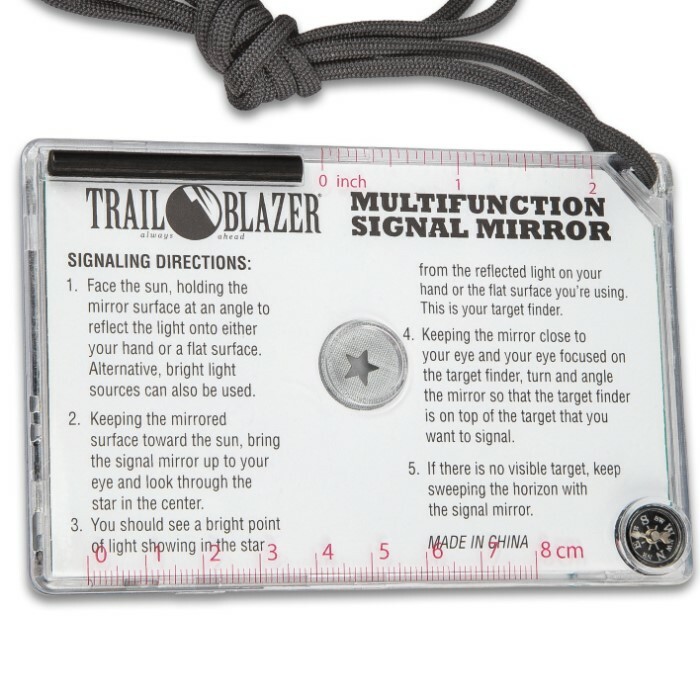 Trailblazer Multi-Functional Signal Mirror - Virtually Unbreakable, Emergency Whistle, Compass, Ruler, Lanyard | BUDK.com - Knives & Swords At The Lowest Prices! 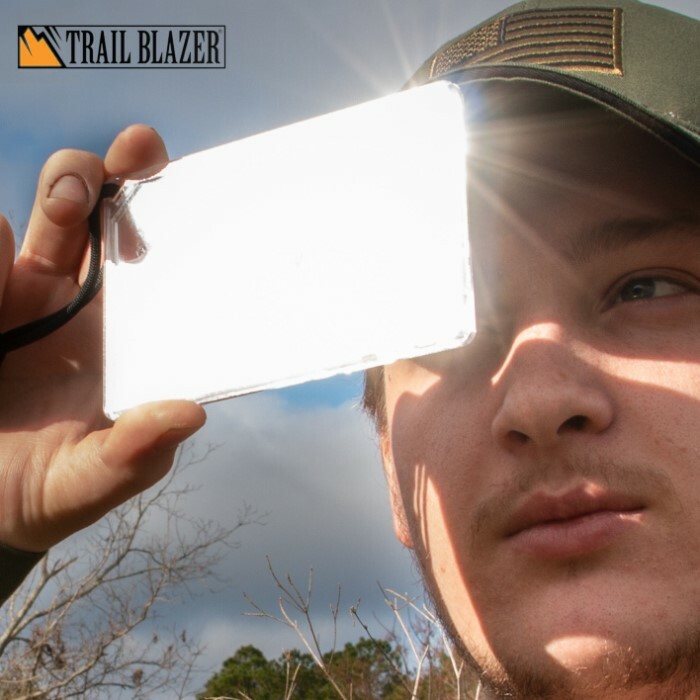 With its built-in aiming system for accurate signaling, the Trailblazer Multi-Functional Signal Mirror is a must-have for your camping, backpacking and bug-out gear. 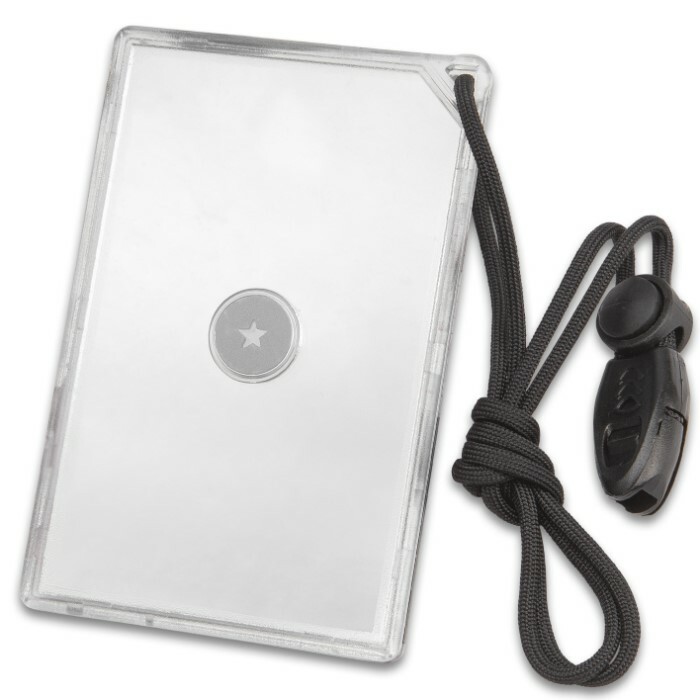 The virtually unbreakable, ultralight mirror works even in overcast conditions or at night with moonlight or other light sources. 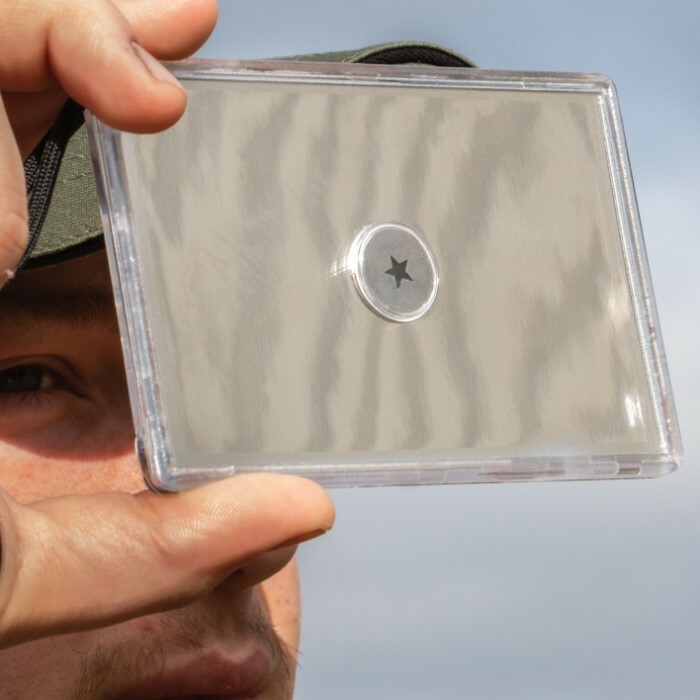 The signal mirror also has an integrated liquid compass and a flint bar, plus, a centimeter ruler and an inch ruler on two of its sides. It has a lanyard for ease of carry and an emergency whistle is attached to the lanyard.